Insectary #1 newly expanded (June '98). 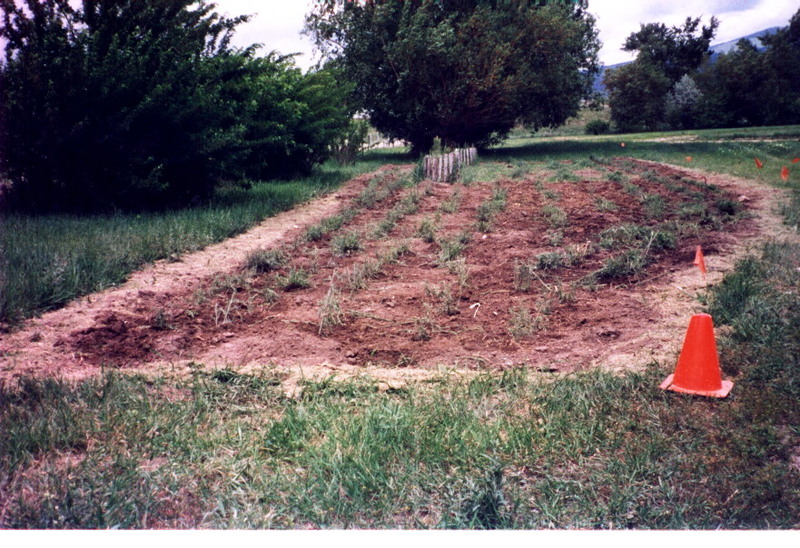 Plowed, tilled, knapweed plants transplanted in rows wide enough for the tiller to till between with one side of the tines removed. 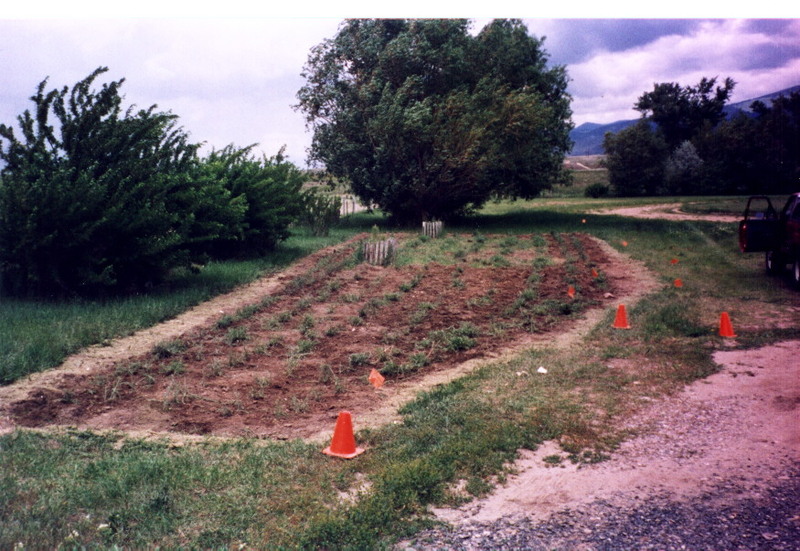 Corral and fence construction to follow.